Our phenomenal manufacturing technologies and high-end machines enable us in providing a wide array of Refractory Bricks. Fabricated using the superior quality tested raw material, these bricks find a wide application in construction sector. 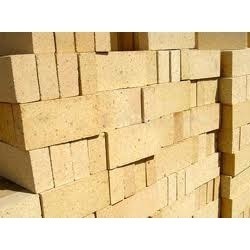 Our refractory bricks can be tailored as per the specific requirements of clients. 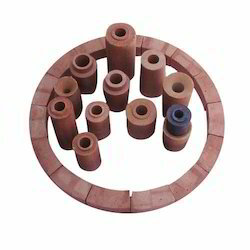 We are manufacturing Refractories for Ladle like High Alumina Ladle Bricks, Nozzles, Ladle Sleeves, etc.We are also manufacturinf CASTABLES required for patching of ladle, Nozzle Filling Compounds, Loadle Covering Mass, etc. We specialize in manufacturing quality Arc Furnace Refractories, which meet the variegated requirements of our clientele. The various products manufactured by us are Ladle Refractory, Bottom Pouring Set (Bottom), Nozzle, Well Brick and Ladle Sleeve. In addition, we also specialize in customizing the products according to the clients specific requirements. We are offering high-end quality of Ladle Sleeve to our clients. The offered range of Ladle Sleeve is widely demanded for applications like lining furnaces, kilns, fireboxes, boilers, etc. Known for fine finish, high strength, durability and ability to withstand extreme temperature & pressure, this is available in various sizes and shapes to fulfill the wide demands of the clients. JBTC offers exclusive range of LADDLE SLEEVES with various qualities we guarantee our material to be of superior quality.